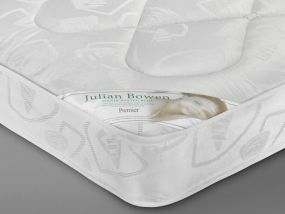 Julian Bowen double mattresses come in two distinct styles, each specially created with quality and comfort in mind to ensure you get a good night's sleep. 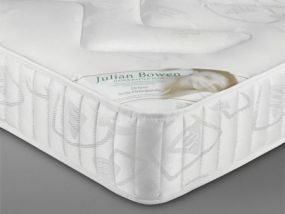 Both mattress options have a firm feel, stitch-quilted detail and a strong coil system so that you can rest and relax in style. The Deluxe Semi Orthopaedic Double Mattress has satin padding and is manufactured to provide semi-orthopaedic support for your back. 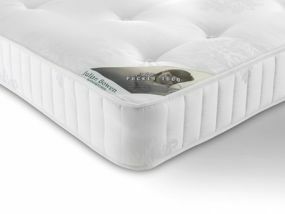 Similar to the Deluxe Semi, the Premier Double Mattress is a high-quality mattress that is a more suitable option for children and guest bedrooms, ensuring all who stay in your home feel well looked after and relaxed. 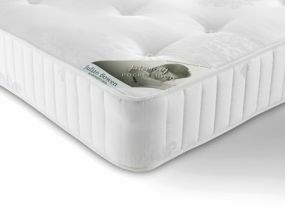 If you order a mattress from our site, we can guarantee next day delivery so you won't have to wait too long to start sleeping in absolute luxury all year round. Alternatively, you can book a convenient delivery date so that your desired mattress can arrive at your home at a time that suits you.